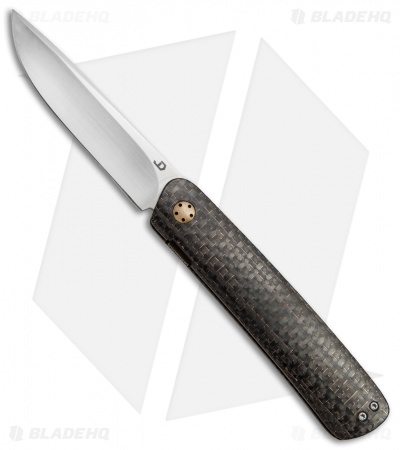 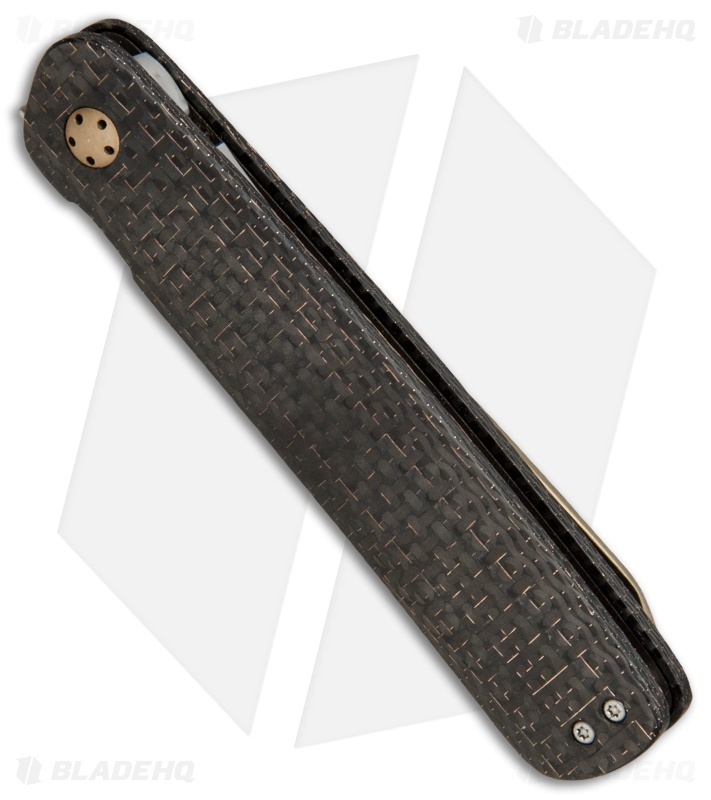 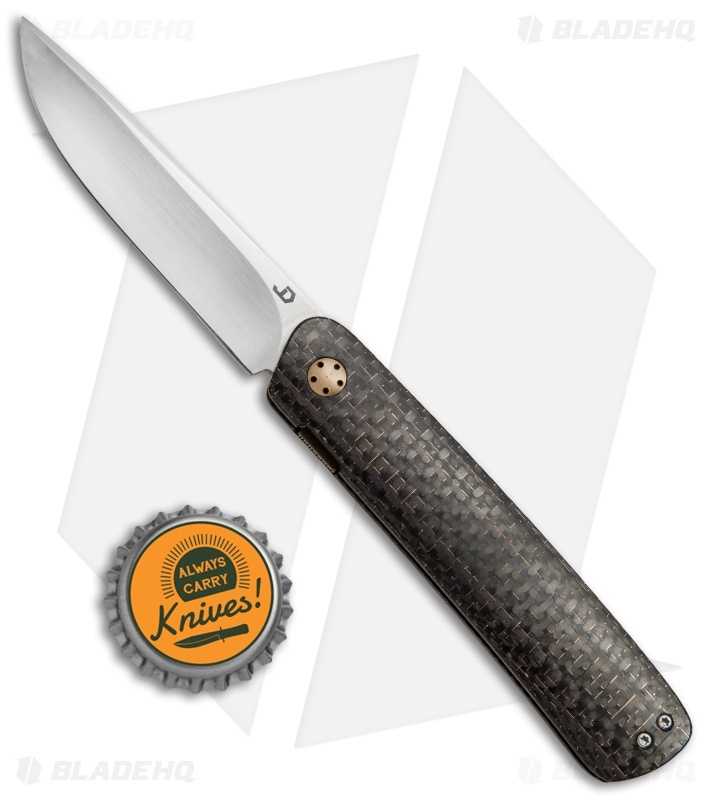 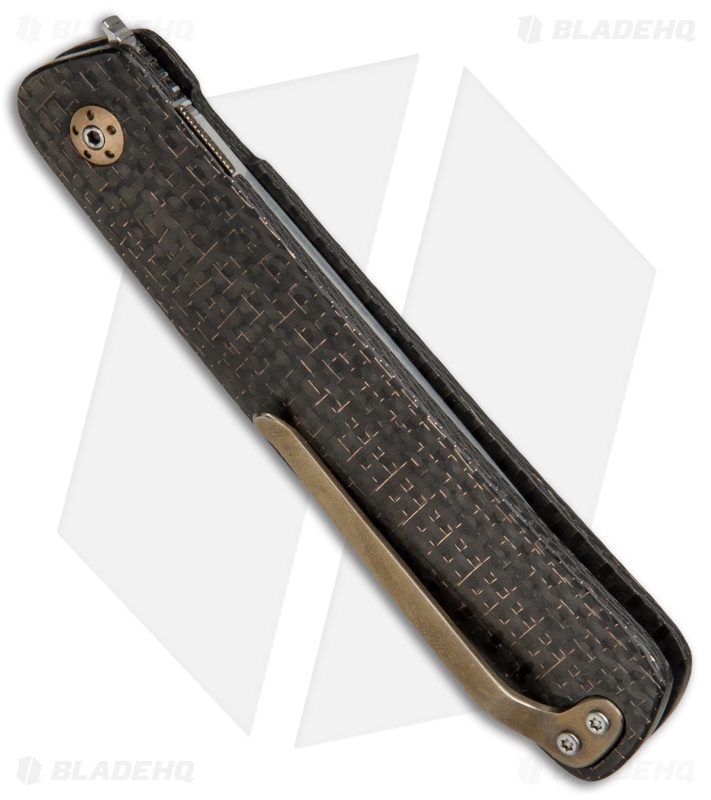 This Pinstripe front flipper knife from JD van Deventer features a Lightning Strike Carbon Fiber handle fitted with a bronzed titanium pivot and pocket clip. Its blade is made from Bohler N690 stainless steel with a fine satin finish and a front flipper opener. The Pinstripe is exceptionally lightweight, and makes a convenient everyday cutting tool.